14 Jan What Would YOU Do? How many leaders do you come in contact with everyday? What kind of question is that you might ask? How am I supposed to answer it? All of us meet leaders in every aspect of our lives…don’t we? Doubtful. The reality is we come into contact with a lot of people – some may have responsibilities for a wide range of things – some may have impressive titles – some may have accumulated a vast array of things (to include money) but we do NOT run into authentic leaders nearly as often as we might think. Want to test that hypothesis? 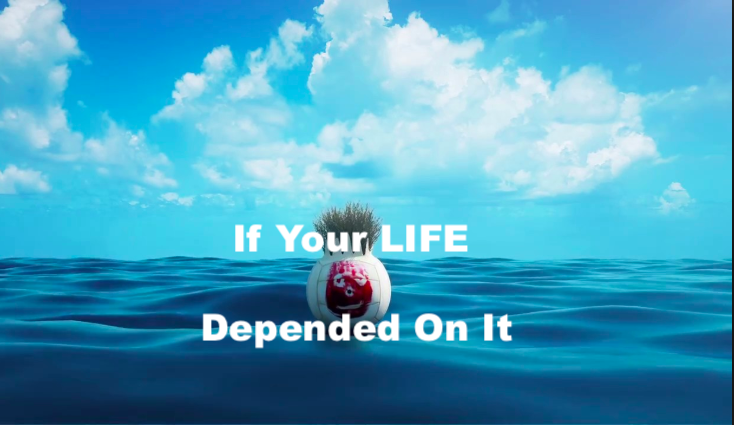 Suppose you were suddenly cast adrift on a desert island – with no hope for rescue, limited resources to keep you alive, and the only certainty was that you would have to spend at minimum 2 years there before help came. That’s a stupid supposition, now isn’t it? How many of us expect to assume Tom Hanks’ character in the immediate future? But if you were – and if YOUR SURVIVAL depended on selecting only 2 people to join you – whom would you pick? Now unfortunately that cannot be a spouse, a family member, or the latest successful contestant on Survivor. It has to be someone you know – not necessarily someone you love. Hmmmm…you say to yourself – that changes things a bit. My life – my safety – I guess I would make darn certain my 2 selections were people I could count on. For many of us our choices would rival the very same qualities we look for in a work teammate – or hope to find in a leader. Now, let’s add to the conundrum – that island has a population of inhabitants with war-like tendencies. They do not tolerate outsiders easily. Their interests are their own. And you need to know that not all “visitors” emerge safely on the other side. Complicating Factor #3 – you and your two colleagues will have the basics only – a simple 3 room shelter, access to water, and limited food. Nothing more. Now, back to our question – you get to pick 2 people you know. (Generally at this point we get the pushback to pick the world’s greatest special operations soldier or the host of the latest outdoor adventure show – and yes, some go with their dream movie star – NONE of these is an option.) Remember, you’re not fully in the wild – only marginally so. This is not a fantasy – it’s a real life experiment that would task you to make one of the most important decisions of your life. That decision – whom do you pick? If this were REAL, your first thought might be to go to someone with supreme physical conditioning – or maybe wilderness experience. Ironically, many stop short of using their selections there. Why? Because it’s not the strongest that is necessarily your best choice. You will need a combination of smarts, intuition, experience, and genuine human compassion in your two compatriots– and Rambo is likely not that person. Nor will your selection be tied to gender or race. It’s amazing how these things tend to slip into the background when the stakes are really high. In our “normal world” it’s easy to become blind to the truly important. We’re talking managing to survive for two long years. Forget the stupid stuff….what do you do? Who are your selections for this ordeal? You have one hour to decide … starting now. Your mind is spinning. All those “leaders” who first came to mind suddenly begin to fade a bit. Chances are good that many of you will make selections that tie to the human qualities that really matter. It’s been my experience that most constantly consider FIVE intuitive dimensions. Is the person or persons I’m considering credible? Would I view them as competent enough – and authentic enough – to entrust them with our lives over the next 24 months? None of us – if faced with our own mortality – would assume credibility. Nor would we use titles or accumulated wealth to dictate our decision. The foundation for followership (and teamwork) is dependent on our recognizing credibility FIRST. Do I trust this person? Trust is a perilous trait – difficult to build but incredibly easy to tear down. In our everyday lives we may forget its importance but when cast adrift it becomes a deal maker or breaker. Would I be prepared to trust this person with my very life??? Does this person (or persons) genuinely care about me? Remember – no family members allowed – how many of us, if faced with this dilemma would short shrift the care factor? The answer – few to none. Would this person be committed to getting us to the other side? Again, you’re tasked with making it TWO long years….is this an individual that could make it every step of the way with all of you? Can this person help ME survive – can I count on them to help me when I’m at my weakest? When it’s all at stake, will this person be there for me? The FIVE points outlined above generally distinguish the true leaders we come in contact with from the masses. If you’re like many – answering each of the 5 questions has culled your list from very long to incredibly short. I’ve worked with small groups in our program on Transformative Leadership as part of this Survival Exercise – and found that the answer to that first question we posed at the beginning of this blog is not quite as simple as many assume. The answer is simple – very few. Tom Hanks’ character found Wilson – the volleyball- in the movie Cast Away. Even an inanimate object is better than nothing at all. How many real leaders bounce into your life? How many of us would be the “Wilson” of a friend, an acquaintance, or a fellow employee?